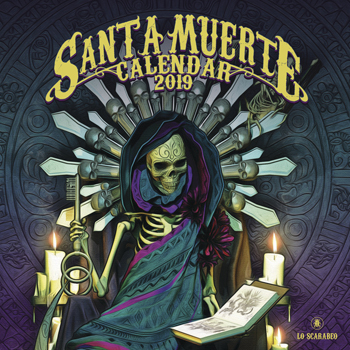 Based on the art of the groundbreaking Santa Muerte Tarot, this calendar is a masterpiece of imagery and mysticism inspired by one of the most important figures of contemporary spirituality. As the patron saint of lost causes and those who have been marginalized by society, Santa Muerte has a following of millions. Fabio Listrani's bold art captures the essence of this powerful saint, and it can help create a space for spiritual practice or act as a daily reminder that petitions are answered and guidance comes to those who seek it.